Summer is nearly over and getting the kids ready for school is not an easy task. From school supply shopping to new clothes, teacher meetings and backpack searches it does not seem to end. In addition to all the supplies the kids need - packing lunches is just around the corner. 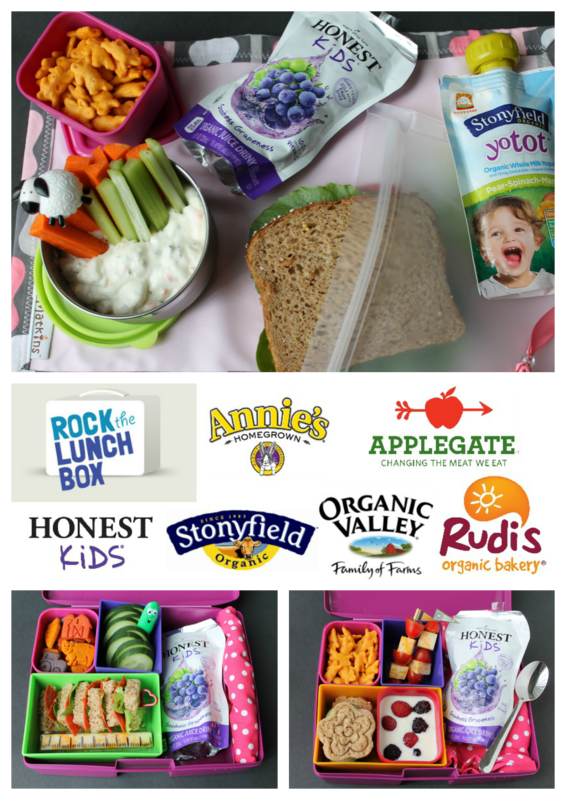 To help you find healthy lunch ideas your kids will love Annie's Homegrown, Applegate, Honest Tea, Organic Valley, Stonyfield Organics and Rudi's Organic Bakery have teamed up with Rock the Lunchbox to bring you simple tips, lunchbox inspirations and downloadable coupons. 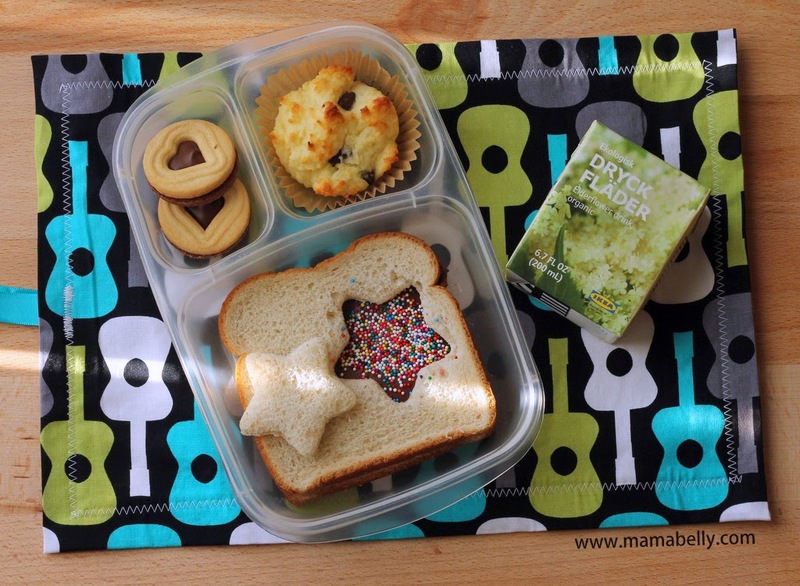 I created a few lunch ideas here at Mamabelly and you can win a fun pack of lunch goodies at the end of the post to create your own rockin' lunches! And this is how she explained her lunch. 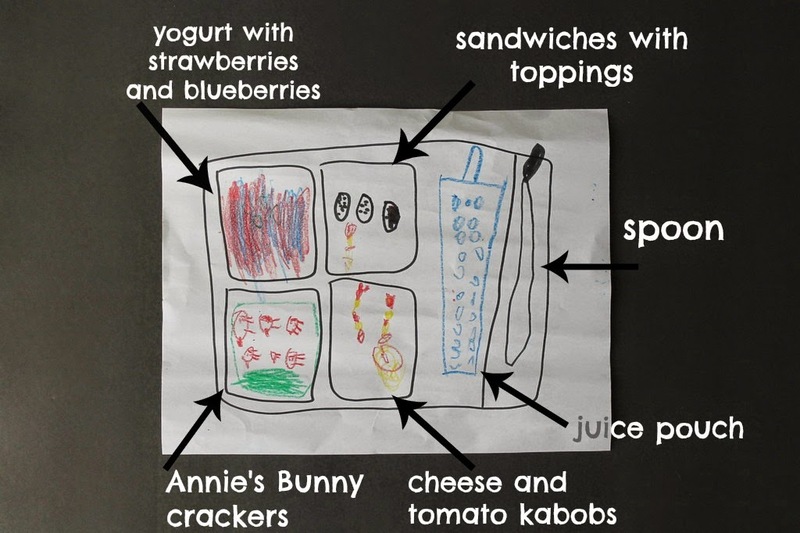 I love that she drew each individual Annie's bunny cracker! It was fun to talk about healthy lunch options and let her be an active part in packing lunch. Even though she is only 5 it was great for her to participate in her food choices and she loved being included. This lunch was enough for lunch and her afternoon snack (she saved the yogurt). If you normally pack lunch in plastic bags in a lunch cooler, I have some more eco-friendly suggestions for you. I love using reusable containers instead of disposable bags and Blue Avocado Rezip bags are perfect! They are big and roomy (enough room for a big sandwich or wrap) and much sturdier then those flimsy plastic baggies. I also reused a small Laptop Lunches container to hold the bunny crackers and utilized our Kid Konserve container for the veggies and dip! You can win an amazing Rock the Lunchbox prize pack! (Items may vary) Giveaway is open to U.S. addresses only. The first day of school is just around the corner for us and it will bring lunch rooms, sticky cafeteria tables and mystery goop. My kids love bringing cloth napkins to school so they can rest their lunch box, utensils and juice container on it instead of being subjected to the germs on the cafeteria table. I even bring them along to restaurants to save those off the plate chicken nuggets and dropped fries. BUT, cloth napkins aren't really meant for that, stain easily (ketchup anyone?) and are often not big enough. That is where MATKINS comes in! 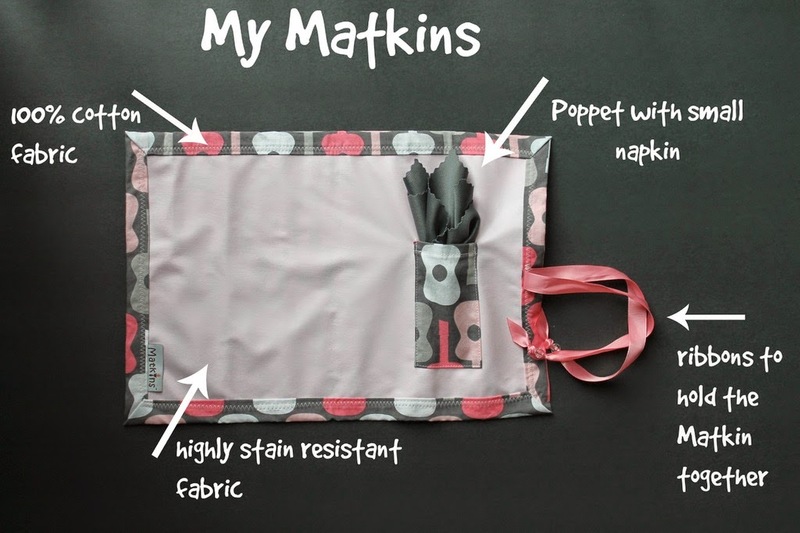 Matkins are reusable, stain resistant, portable and fun placemats that easily roll up to fit in your purse, diaper bag, backpack or lunch tote and will save your lunch from those icky sticky cafeteria tables! Matkins are about 10 x 14" big and made with one 100% cotton side and one highly stain resistant side. 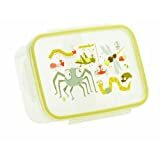 They are machine washable and dryer safe, come with a little pocket that holds a mini napkin and can hold utensils, a note or treat. And when you are done with lunch or dinner you simply roll them up and take them with you. They have lots of fun patterns and for a ketchup and BBQ sauce smear test head over to Lunchbox Dad. He put that stain resistant fabric to the test! And for $16 this is well worth it to me to prevent those sticky situations at school, work and while eating out! The only thing I wish was different are the mini napkins. 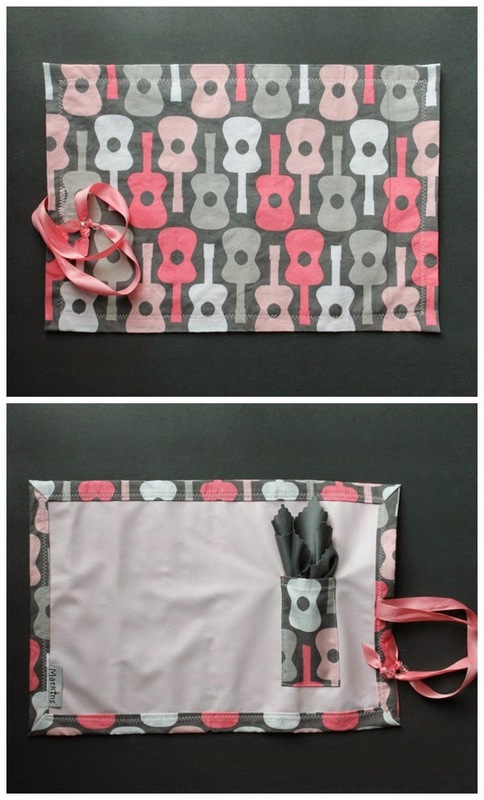 The napkins are made out of polyester fabric and we simply prefer cotton napkins for the feel. Overall, we loved trying the Matkins placemats and enjoyed germ and stick free lunches like the one above. To see what we packed for lunch that day click HERE. To get your own Matkin Placemat head to www.mymatkins.com. US Residents Only. Winner will be notified via email and has 24 h to claim their prize. Disclaimer: Matkins sent me samples to review. All opinions are my own. 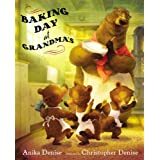 Baking Day at Grandma's - written by Anika Denise and illustrated by Christopher Denise - is a beautifully illustrated children's book telling the story of three little happy bear cubs on their way to Grandma's on Baking Day. The illustrations and rhymes in the book portray coziness and love and you can almost smell the cake turning the pages. But this cake is not for eating! The little cubs cut the cake in neat squares, load up the sled and spread some love delivering treats on this winter afternoon! And yes, the recipe for the mouth watering chocolate cake the three little cubs help Grandma bake is in the back of the book! A must try no matter if you are intending to share or not. This post was previously published at Diana Rambles as part of the 4 great Bloggers, 4 great tips for the Back2School Bentoing series. 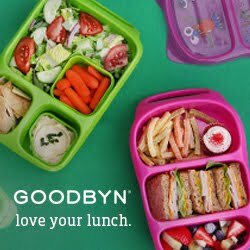 Packing fun lunches is not as hard as you think and doesn't necessarily require a cabinet full of bento lunch supplies or artistic skills. 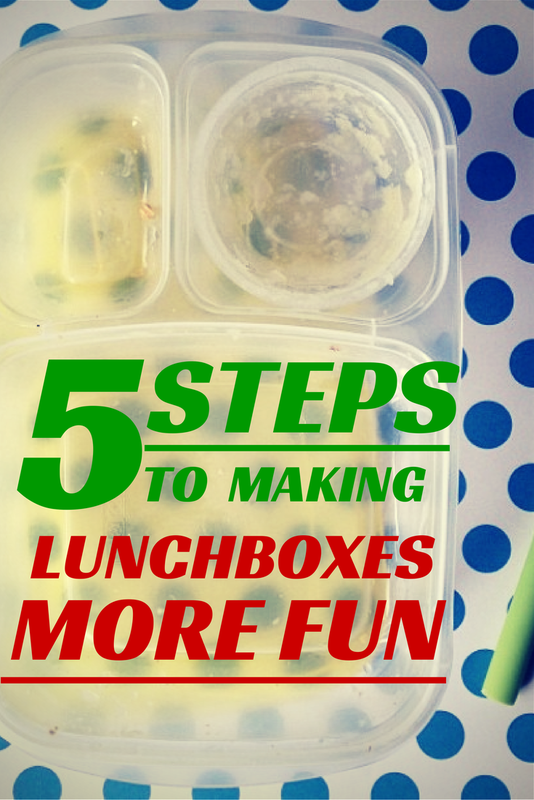 With a few (and inexpensive) touches you can change your child's lunchbox into a fun lunch! In the picture above I added a reusable silicone straw and a cupcake decoration from the party store to dress up the lunch. My kids were thrilled to slurp their applesauce through the straw and with a quick cupcake decoration I made this simple lunch more exciting. And as you see the lunch came back completely eaten! Same with this St. Patrick's Day lunch. 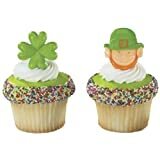 I added three St. Patrick's Day themed cupcake rings from my local cake store and made this simple lunch festive and fun! To add some color and fun I simply added a cute orange mini silicone cup to hold some Almonds and dressed up this simple Laptop Lunchbox. This lunch was made more fun with a cute plane sandwich. It was made using a Lunch Punch Cutter. 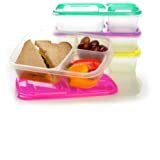 The cutter is easy to use (just press down and done) and removes the crust while making your kids sandwich exciting and fun! These mini sandwiches were transformed with a sandwich stamp from All Things For Sale. No artistic skill required. But the outcome is an adorable and appealing lunch. 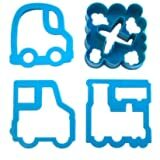 Another fun to use sandwich cutter is the CuteZCute animal sandwich cutter. It cuts the crust off (again, great for picky eaters) and you can choose between four different animal faces. Quick, easy and fun in no time at all. Adding a fun Lunchbox Love note - no matter if homemade or similar to this store bought Lunchbox Love Card (joke edition) - sure will put a smile on your child's face and make lunch a little more special. But even if you don't have any of the tools above you can still make a cute lunch. This summer BLT lunch was simply made special by adding three Goldfish crackers and with two deli sandwich picks. Similar ones are available at the Dollar Store. 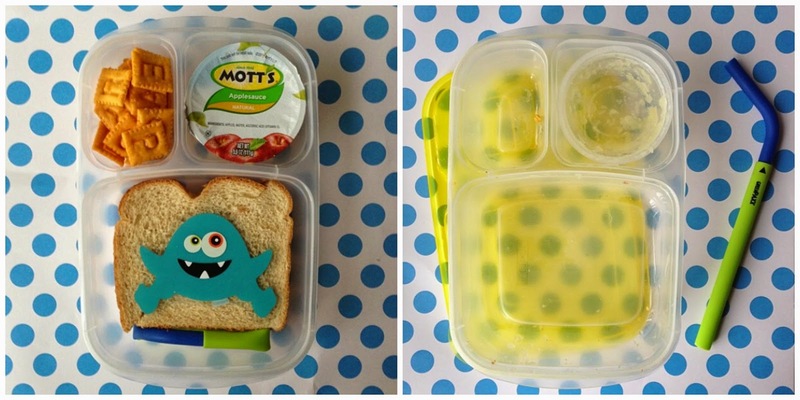 I hope I could show you a few tips and tricks on how to transform you child's lunchbox from drab to fab with a few simple steps. 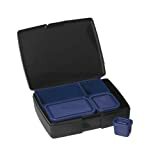 For more product ideas visit my bento basics page. My kids love hot dogs. BUT, it is scary to think about what is actually in a regular hot dog! I was so thrilled when Applegate asked me to be part of their #Wienervention campaign! I want to serve my family hot dogs free of added nitrites or chemical preservatives and with ingredients - but hot dogs they would still love. This is the amazing #Wienervention kit Applegate generously sent me and I cannot tell you how excited everyone was! Even my pickiest eater wanted a hot dog "right now, Mom!" So it was time to turn on the grill and let everyone pick their favorite toppings! Even though the hot dogs looked a little different than the fair hot dogs no one was deterred and everyone had an amazing time choosing the toppings they wanted! I noticed right away that the hot dogs cooked much better then regular hot dogs and they did not burst or bubble! They tasted a lot "meatier" according to my kids and everyone wanted seconds! And with 4 simple ingredients (beef, water, salt and spices) it is good to know what actually IS in your hot dog! We also loved the Rudi's Organic Bakery hot dog buns! They truly were the best hot dog buns EVER! We will never go back to squishy rolls again. They were big enough to fit two hot dogs (German Style) or an Italian sausage plus toppings and they did not get soggy or break! They crisped up nicely on the grill and my family loved them. We also tried the Rudi's Organic Bakery Gluten Free hot dog buns and I have to say that those were truly the besat GF buns we have had so far! A must try! What about the toppings? We really enjoyed Annie's ketchup and mustard and we will be on the look out for the whole line! They are organic and GF and made with simple ingredients. You cannot ask for more! We also fell in love with Rick's Picks relish and it's a new favorite in our fridge! 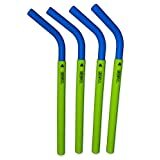 Susty Party also provided paper straws and napkins to round out the party and we love that they are compostable, non-toxic, renewable and made in North America!! Our #Wienervention was a huge success! Stage your own #Wienervention at home and find product coupons here: Applegate, Rudi's Organic Bakery, Annie's. My kids love fruit leather and fruit snacks. I admit I do, too! They are portable, yummy and convenient but unfortunately most fruit snacks are loaded with sugar, artificial color and flavors. 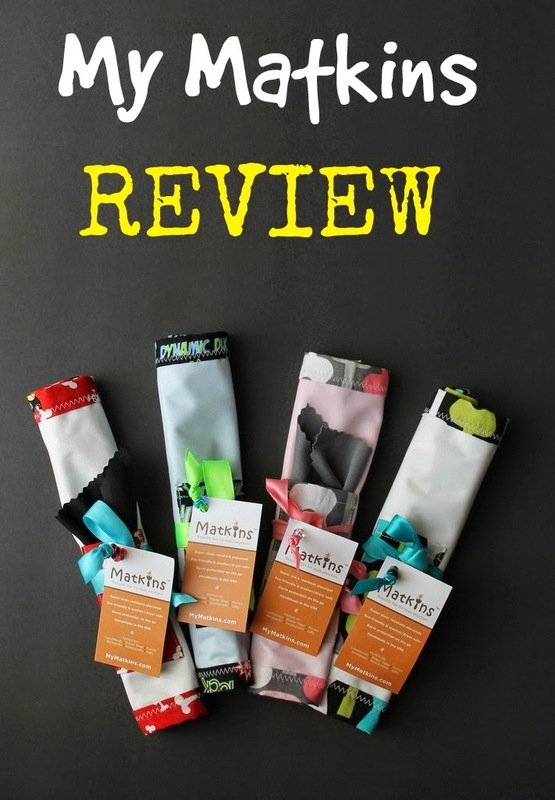 So, I was thrilled when Bonga Foods approached me to review their BAOBAB Superfood chews and Superfood powder and GIVE SOME AWAY TO YOU! Bonga Foods was launched by three So Cal moms. It is a new line of baobab superfood products from Africa's "Tree of Life." According to Bonga foods, "the baobab (BEY-oh-Bab) tree produces fruit that is exceptionally high in soluble fiber and vitamin C; rich in minerals and electrolytes; bursting with antioxidants; and one of the few plant sources of calcium. It dehydrates naturally on the tree, falling to the ground when mature, and is then sustainably harvested by women in sub-Saharan Africa. The baobab powder is simply separated from its seed and sieved in its natural, unprocessed form before packing. The unique combination of nutrients found synergistically in baobab is not compromised since the fruit does not need to be pasteurized, heat extracted, freeze dried or concentrated." When the BAOBAB Superfood chews and powders arrived first at our house my kids immediately wanted to try them. They are conveniently packed in 40 g serving sizes and therefore great for on-the-go, lunchboxes, after sports snacks or wherever you love taking your snacks! They loved that there is so much more in the individual packages than in regular fruit snacks (40 g of Bonga Superfood chews compared to 14g of a regular food snack). Some of my kids actually can only eat 1/2 a bag which makes sharing and trying all flavors easy and fun! that Bonga Foods donates 10% of all profits to the Bonga Foundation, which supports the women who harvest the fruit in southern Africa and their families, as well as other women's and environmental causes here in the US. carrots, celery and grape tomatoes. We also tried the BAOBAB superfood powder and I like that I can easily add more nutrition to our smoothies and juices. Open to US Residents only. Winner will be notified via email and has 24 h to claim their prize before I redraw a winner. GOOD LUCK!